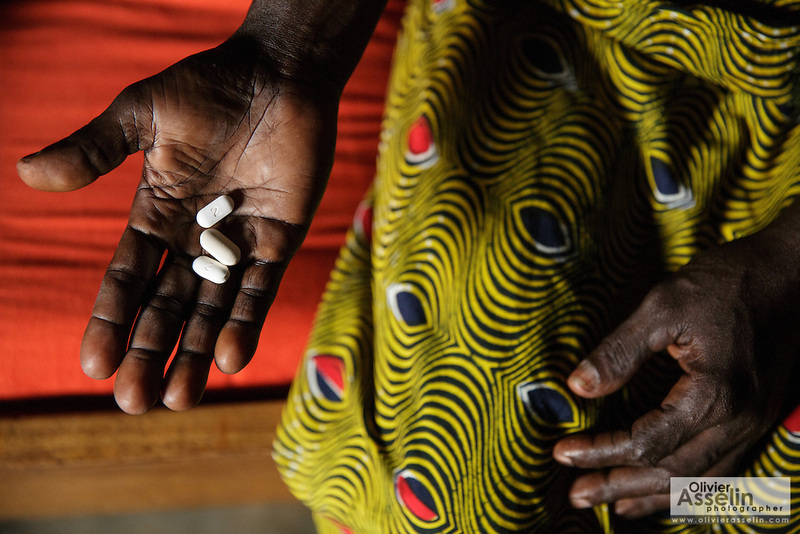 Adjua Yao, 45, who is HIV positive, holds the drugs she takes every day as she sits in a room of her sister's home in the Campement neighborhood of Abidjan, Cote d'Ivoire on Wednesday July 10, 2013. Adjua, a mother of five, is currently unemployed and lives with her sister. She's under ARV treatment and takes three pills a day.